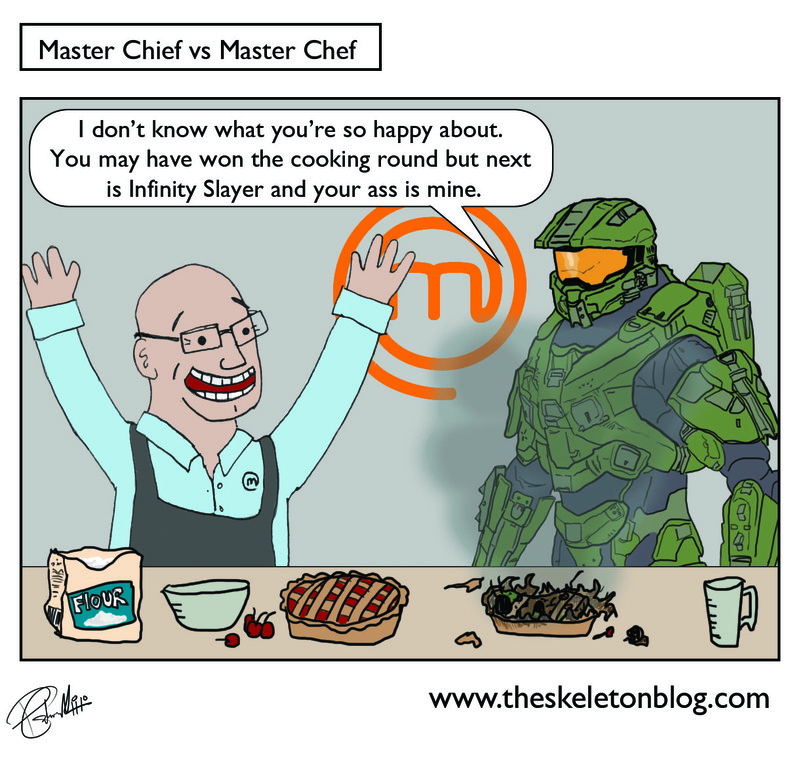 I'd really like to see Master Chef's Greg Wallace go at it with Halo's Master Chief. I recon Greg would have a good chance. No wait a minute of course he wouldn't. Master Chief would crush him like a bug and blast a hole in his face. But who could be mad at Greg? He's so jolly. 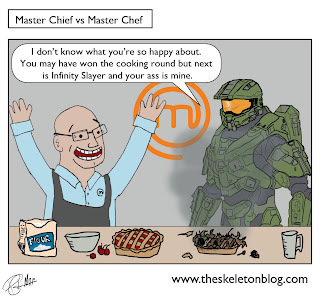 Master Chief that's who. Lets hope they never meet. I'll give him Anthony Warroll Thompson's number instead.